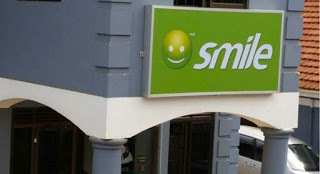 Smile Communications NG has recently announced its new SMiFi and Router Starter Pack devices as well as bonus offers to reward its customers. This is just a way to grow its customer base and gain more subscribers to them. This will make it easier for all Smile customers enjoy a more affordable and reliable internet services. Through the offers, customers will, upon purchase of a SMiFi or Router Starter Pack, get 50% bonus data on recharge for three consecutive months. With this, customers are hope to get 20GB/7GB plus SMiFi or Unlimited Premium plan, which offers customers unlimited access to the internet, with a router to create their own hotspot, stream, download and connect with family and friends with prices that start from as low as N16,500. Speaking further, the HM stated that the need to have instant continued access to the internet has resulted in a higher demand from customers for data to be easily accessible at an affordable rate. According to him, the new device and bonus offers give customers great value for money and reward them for choosing Smile 4G.